Logline: Raggs stars five colorful, canine characters and their wise-cracking pet cat, Dumpster, who hang together in their own cool clubhouse, explore preschool-themed stories and make rockin’ music as The Raggs Band. Currently dubbing several other languages. Note: Raggs is uniquely built in complimentary segments for easy editing and compatibility. Licensing & Merchandising: Multiple licensees. Additional rights available. 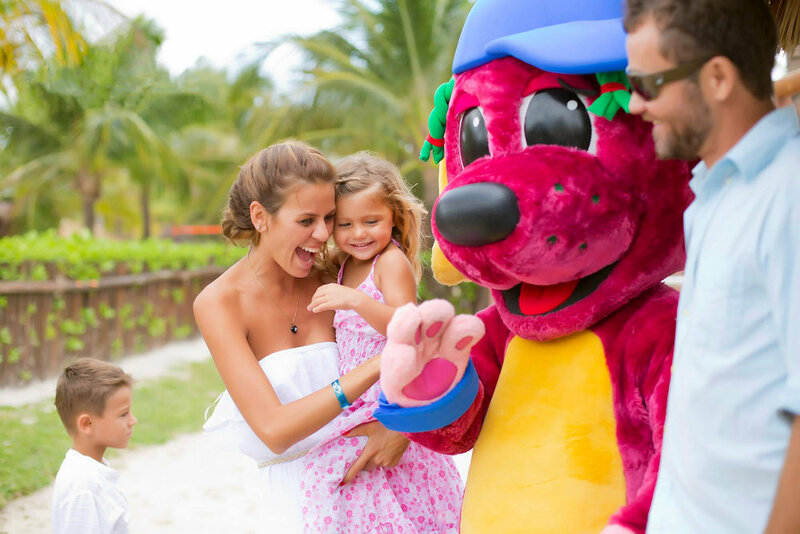 Trilby visits with a family at The Palladium Resorts. You can also visit Raggs.com.